Home › FAQ › How Can You Specialize an Accounting Degree? How Can You Specialize an Accounting Degree? Students who choose to specialize an accounting degree often benefit from marketing their skills in a certain niche of the financial services industry. Selecting a specialization is advised for accounting students wishing to build on the major core of fundamental accounting knowledge with practical skills in a specific sector. Since accounting is such a diverse field, it helps to form your own specialty to narrow down your skill sets and unleash more job prospects. Luckily, it’s becoming easier to specialize an accounting degree without spending too much extra time in graduate school. The following is a detailed guide showing the three ways you can follow your unique interests for a specialist career in accounting. To work in accounting, you’ll need to possess at least a four-year bachelor’s degree from an accredited business school. Most students choose to go beyond their undergraduate major to receive a Master of Accountancy (MAcc) or Master of Business Administration (MBA) degree. This is advised for students looking to specialize in a certain accounting discipline because graduate students are given more freedom. Many master’s programs have specialization tracks built into their curriculum automatically, which is ideal. According to the American Institute of CPA’s, some of the most popular degree specializations offered into forensic accounting, internal auditing, taxation, business valuation, management accounting, accounting information systems, and international accounting. You’ll simply have to select the concentration that fits your career goals best. If your chosen accounting school only offers a generalist accounting degree, you’ll have to go about creating your own specialization. You can do this by specializing your chosen electives and/or declaring a minor along with your accounting major. Undergraduate students in accounting often choose minors related to business administration, finance, economics, marketing, public affairs, international business, and management. Usually students can select any minor the college offers as long as they maintain a high enough GPA. Some accounting majors might even major in education for a future career in teaching accounting. Selecting a double major is another option, but remember that you’ll likely spend extra years studying. Last but certainly not least, you can wait until after acquiring an appropriate generalist accounting degree to declare your specialty. Professional accounting certifications are abundant in virtually any aspect of the field depending on your specific interests. Not only does becoming certified show your competence in a specialization, but it also shows your commitment to the accounting profession. You may wish to become a Certified Public Accountant (CPA), Certified Managerial Accountant (CMA), Certified Internal Auditor (CIA), Certified Fraud Examiner (CFE), or Chartered Financial Analyst (CFA). If you’re looking for a career in taxation reporting directly to the IRS, becoming an Enrolled Agent (EA) is another viable option. Most professional accounting credentials will require a certain level of education, some years of experience, and a passing score on a certification exam. Overall, accounting is a fast-growing field that is expected to add around 166,700 new jobs before 2022 in a wide range of specialization areas, according to the Bureau of Labor Statistics. 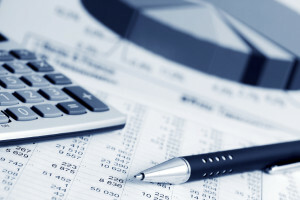 Although all accountants basically prepare and examine financial statements to ensure monetary health, there’s several unique specialties that offer other exciting responsibilities. For the most favorable job outlook after graduation, it’s advised that you specialize an accounting degree in an area you enjoy and can grow in.